Packaging Food? Then label it! No problems in Fridge or Freezer. Microwavable. Do not worry about labels in fridges and freezers. We produce freezer & fridge stickers. 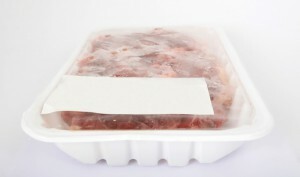 You do not need really expensive vinyl or synthetic labels for refrigeration. We have the right products here that work and are waterproof for the purpose. Send us an email and ask.